The compilation album features guest vocals from Giggs, Black Coffee, Jorja Smith, Quavo, Travis Scott, 2 Chainz, Young Thug, Kanye West, and PARTYNEXTDOOR, among others. 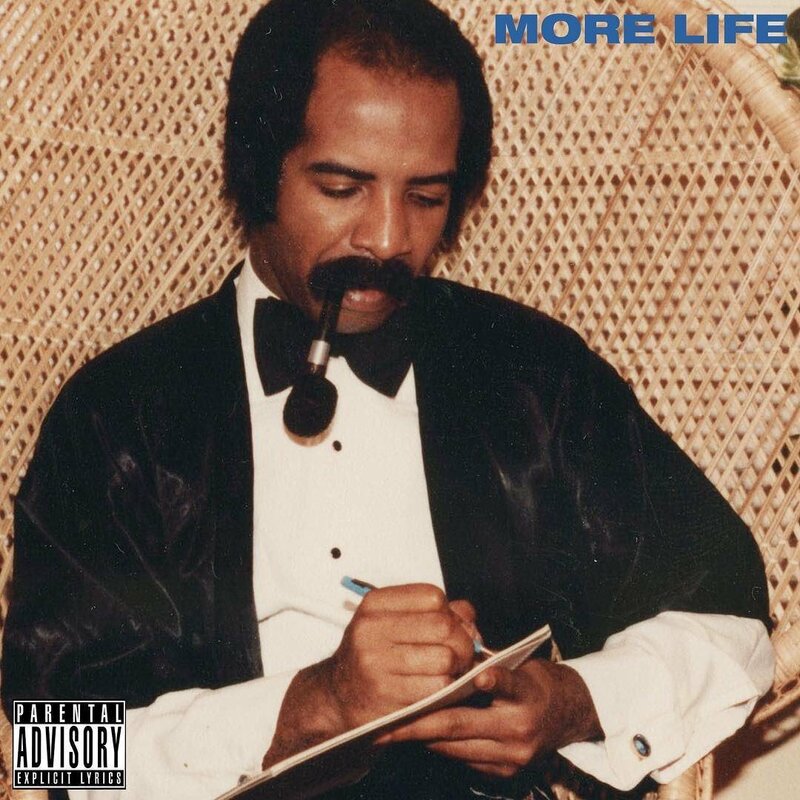 More Life was supported by two promotional singles and the lead single: “Fake Love“, “Sneakin’“, featuring 21 Savage, and “Two Birds One Stone“, all three singles were premiered on October 23, during Drake’s 30th birthday episode of OVO Sound Radio. Production handled by 40, Allen Ritter, Boi-1da, Charlie Handsome, Chef Pasquale, Cubeatz, DeeJae, FrancisGotHeat, Frank Dukes, G. Ry, Hagler Tyrant, iBeatz, Jazzfeezy, Kanye West, M3rge, Murda Beatz, Nabeyin, Nana Rogues, Ness Beats, Nineteen85, Noah Goldstein, PartyNextDoor, S1, Steve Samson, Stwo, Supah Mario, T0PFLR, T-Minus, Vinylz, Wallis Lane. 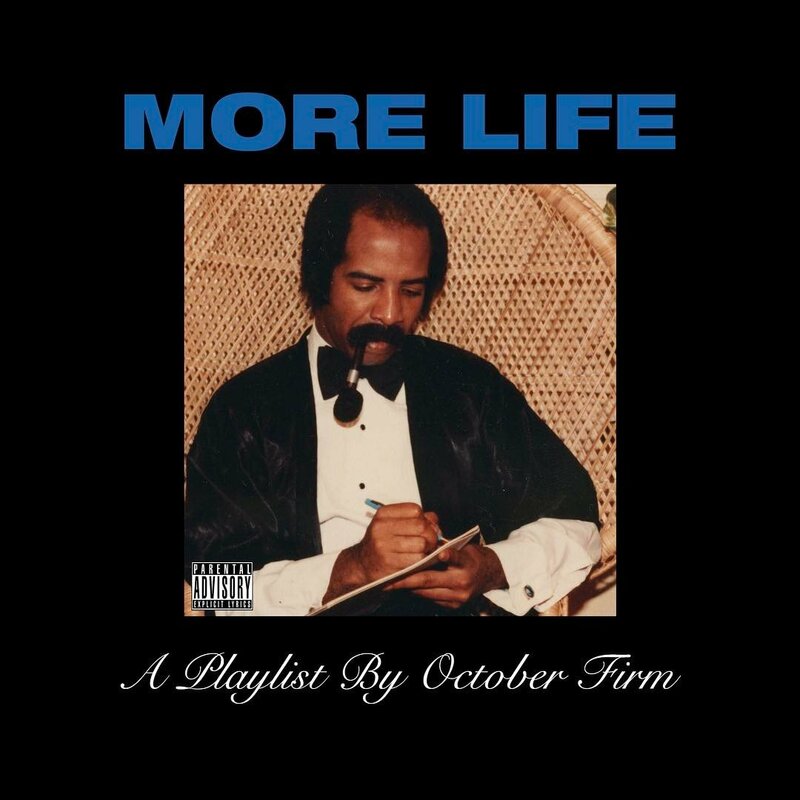 Drake‘s More Life is more akin to a mixtape than an album, referring to the project as a playlist featuring all original material. More Life was released on March 18, 2017 by Young Money Entertainment, Cash Money Records and Republic Records.